While we're all drooling over the One X (codenamed Evo 4G LTE on Sprint), HTC's new middle child is working its way into the US markets. 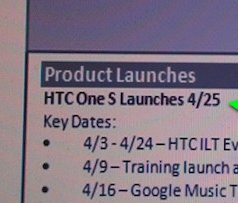 TmoNews has acquired some leaked slides that declare rather confidently that the HTC One S will land on T-Mo on April 25th, keeping its surname. 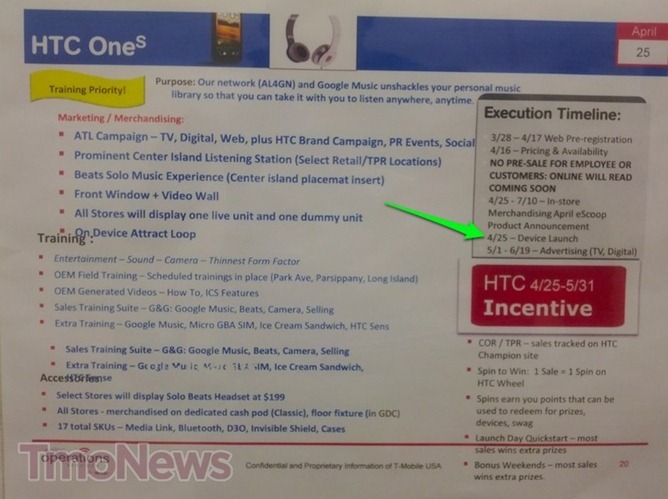 The date, TmoNews notes, is a Wednesday which T-Mobile is typically known for favoring as a launch day. 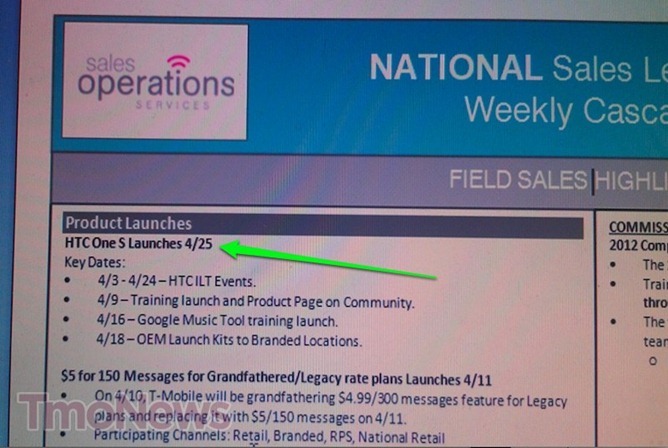 Little else is known (like a price) at this point, except that T-Mo is currently training employees on the talking points of the One S before it become available. Talking points like Beats audio, T-Mobile's "largest" "4G" network, and the rest of the crowd favorites. So, what do you think? Are you going to be the first in line come late April to hear the spiel and then get your hands on this device?